Gear motors are supposed to be convenient, helpful and safe. That is why when you choose the kind of motor for your machinery, you have to educate yourself about its features. One of the common picks today is helical gear motors. Below are five reasons why helical gear motors represent an optimal choice for many applications. Handy. The helical orientation makes the whole setup compacted. Unlike other gear motors, it gives more result in lesser time. A helical gear motor is also assembled in one piece. Lightweight. If you are not planning to use the gear motor for industrial purposes, then a planetary head is a suitable choice. It is lightweight because of its compactness. This means that you don’t have to burden yourself with heavy motors. No more dragging unnecessary weight from one area to another. It poses more convenience for the owner as well as for the environment. Durable. 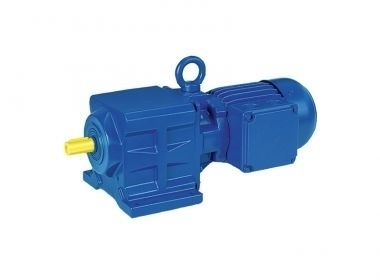 Even though you might be using them every single day, you won’t have to worry about changing helical gear motors often. They are durable. You are guaranteed to enjoy their purposes for a very long time given that you are taking into account the load limit and other factors that could cause damage. Accurate. Do you want the best output? Helical gears are very accurate. Their setup needs this kind precision in order to work. You won’t be disappointed with the output. Interchangeable. Parts of helical gear motors are interchangeable. When one piece is damaged, you can replace it with a new one. Also, their parts are easily available. Helical gear motors offer clear advantages. However, you have to keep in mind that nothing is perfect. One of the most common complaints about this type of gear motor is the gear noise. With its planetary shape and given the pressure, friction tends to create a buzzing noise that is louder than other types of motor gears. The most important thing that you should remember about a helical gear motor is the needed accuracy during its assembly. Preceding its accurate outputs is precision in the setup. You have to make sure that you read the manual carefully. Be careful in mounting or overloading it.